Many of the top gyms across the country are installing artificial turf and rubber flooring to create a more efficient, diverse workout experience. Some gyms and facilities might throw down turf and call it a workout area – but the best gyms cater their facility to functional fitness. These gyms cater their workouts to quick, impactful movements that maximize the experience for their athletes. 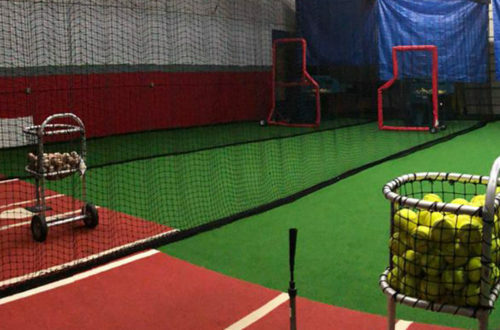 PowerStrength Training Systems in Grand Rapids, Michigan, is taking functional training to the next level with their facility that they worked on with On Deck Sports. PowerStrength settled on Arena turf, but added a custom look to their gym by selecting a black turf over the traditional green. Not only did the black turf fit the look and feel of the facility, it made for a cohesive look with the black rollout rubber flooring. This look fits the mission of PowerStrength Training System – a dedicated staff and facility that are there to work hard with the athletes and achieve results. Arena turf is the premium turf product for strength and conditioning facilities. The high quality turf is resistant to wear – making it the ideal turf for sled pulls, tire flips or any other functional fitness workouts. Aside from the turf, we custom cut rubber flooring rolls to fit the area around the turf. 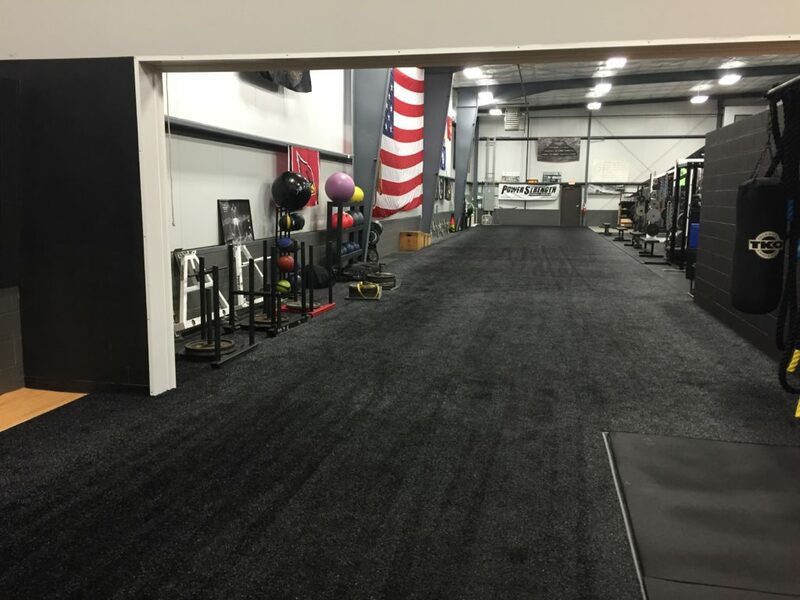 Our expert team cut the rubber flooring to the exact specifications needed in PowerStrength Training Systems. We have the ability to custom cut and install any turf and rubber flooring to make sure your facility looks its best.